The Knobz were originally Rockylox — founded by singer-guitarist Kevin Fogarty in 1978. 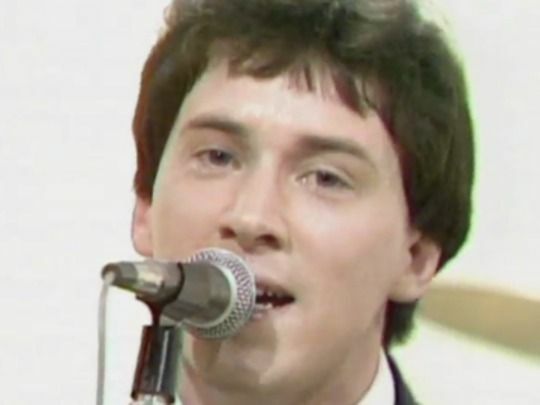 After a name change in 1980 they had a Top 10 hit with ‘Culture?’: a jab at Prime Minister Rob Muldoon’s refusal to lift a sales tax on recorded music. Another topical single — a John Lennon tribute called ‘Liverpool to America’ — failed to match the success of ‘Culture?’ Album Sudden Exposure followed; but they disbanded in 1983 after failing to get a foothold in Australia. Now a teacher in Auckland, Fogarty co-founded the ‘Ukuleles in Schools’ programme.